Why should you use Spoil-A-Pet Pet Services? In the past, working and traveling pet owners had few choices concerning care for their pets while they were away. Kennels are not suitable for every pet and sometimes you may not want to impose on friends and neighbors. Spoil-A-Pet offers a convenient alternative to boarding your family pets and leaving your home unattended. Pet owners can have peace of mind knowing that their pets are in our responsible care. Our personalized services are affordable and developed around each customer's needs. It is commonly known that pets do better in their own environment. Your pet will be following his or her customary diet, exercise routine and medical treatments. Pets will not be exposed to illness from other animals and will not be traumatized by travel or an unfamiliar environment. 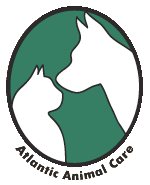 With us, your pets will receive lots of love and individual attention. We accept credit cards for payment through Pay Pal.